Pretty in Pistachio | Happy National Watermelon Day! 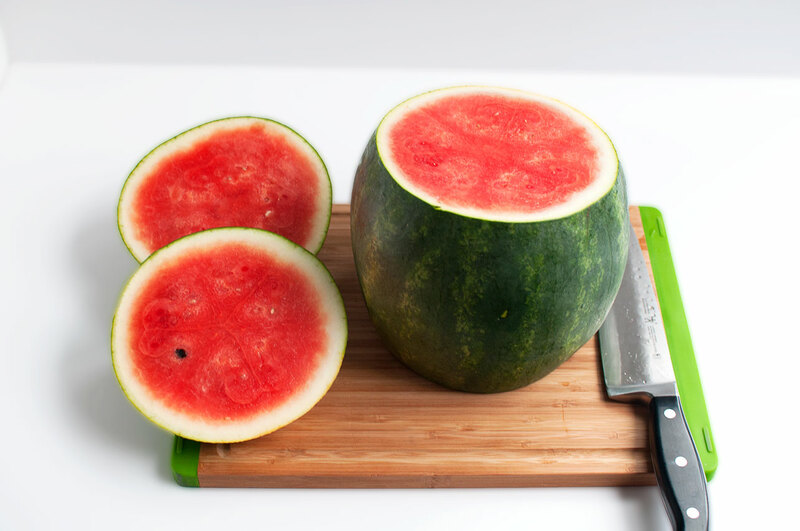 03 Aug Happy National Watermelon Day! 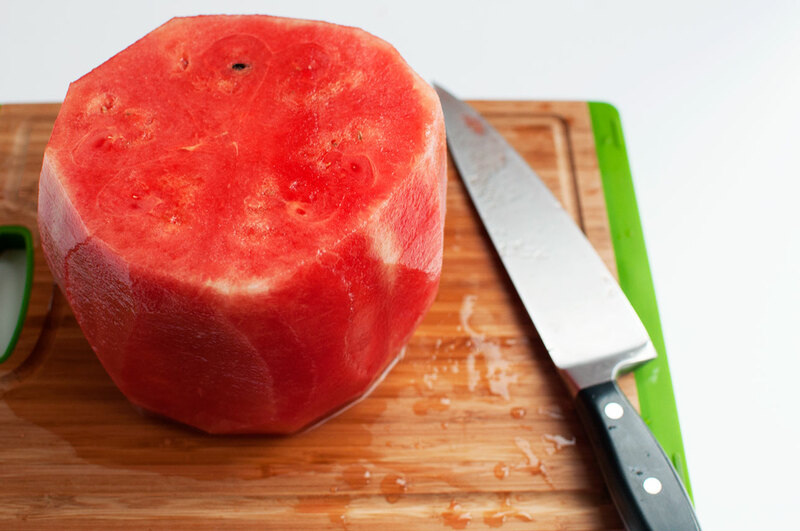 Happy National Watermelon Day everyone! 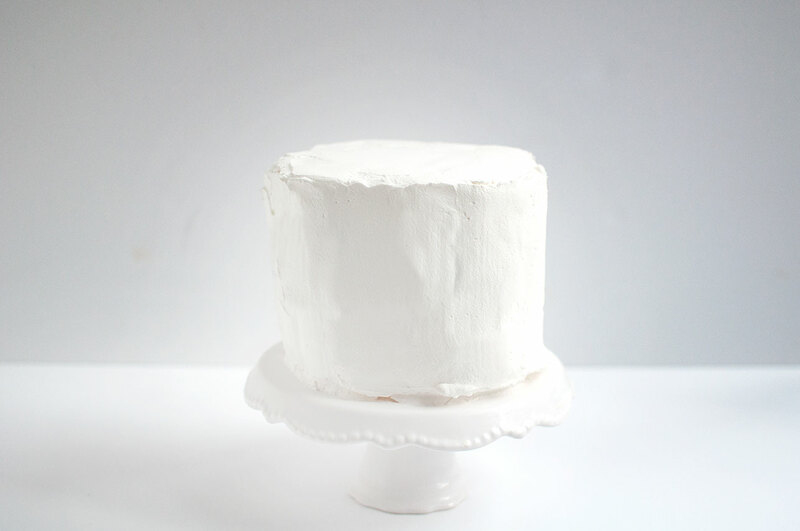 The cake in the above photo might look a little familiar if you checked out my post yesterday which included instructions on how to create the decorative flag that’s atop the cake. 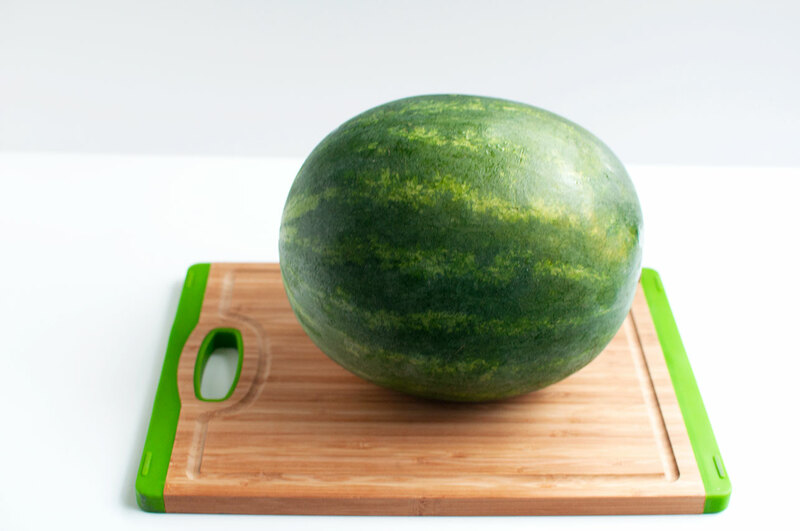 What you may not have known from the tutorial yesterday was that the “cake” I was using was actually a watermelon! Sneaky, I know ;). I’ve been seeing this fun little watermelon cake pop up on Pinterest a few times and in the spirit of National Watermelon Day, I figured why not give it a shot. 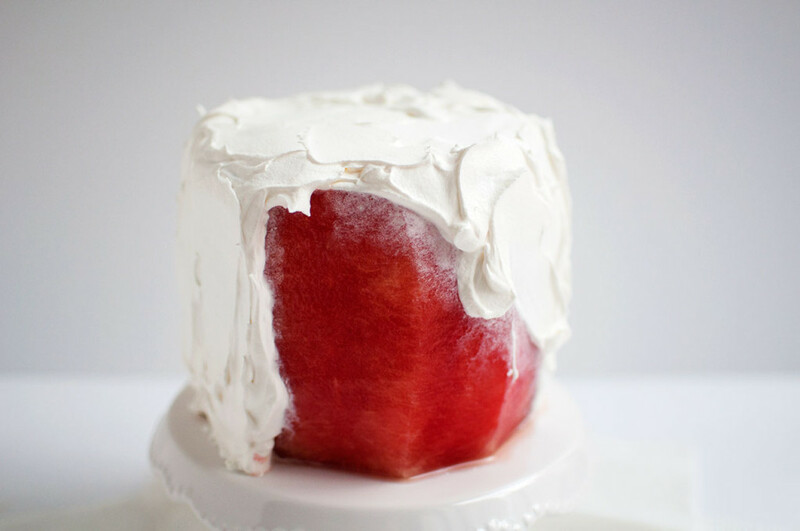 It was actually quite simple and only required two ingredients: cool whip and a watermelon. 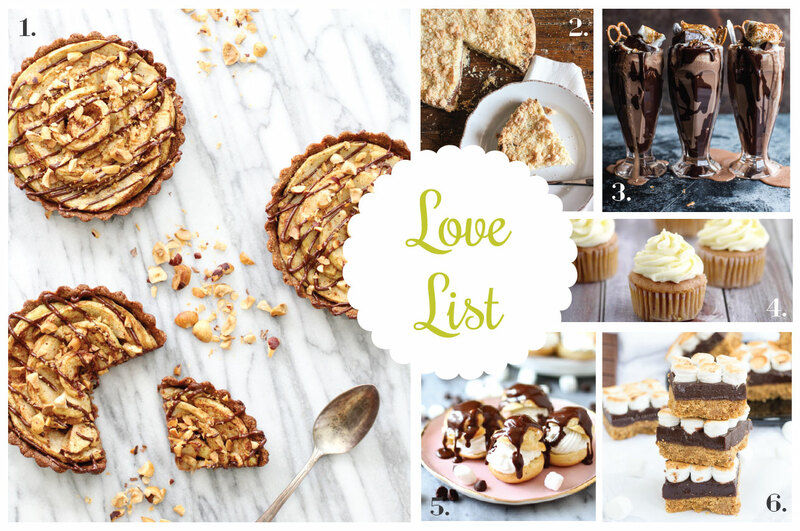 You could also substitute the cool whip with homemade whipped cream but it’s completely up to your own preference. 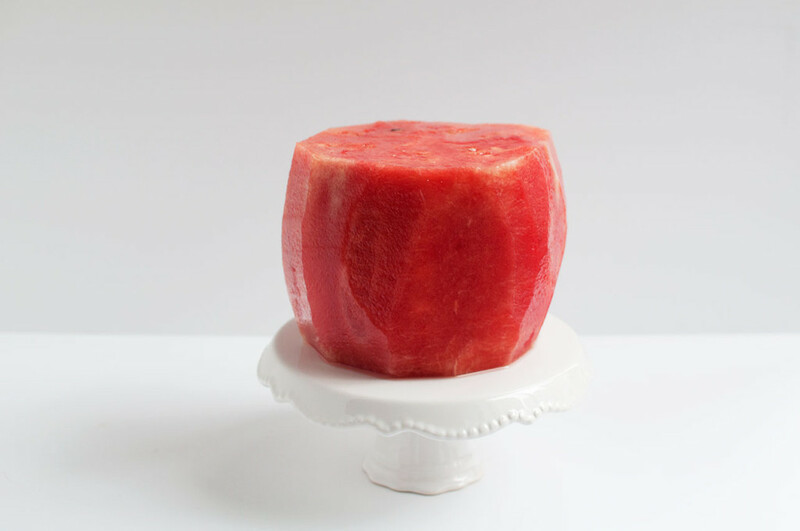 To create the “cake” you first take a watermelon and cut off the top and bottom so that it can sit flat on a cutting board. Then take a knife and slice away the rind. 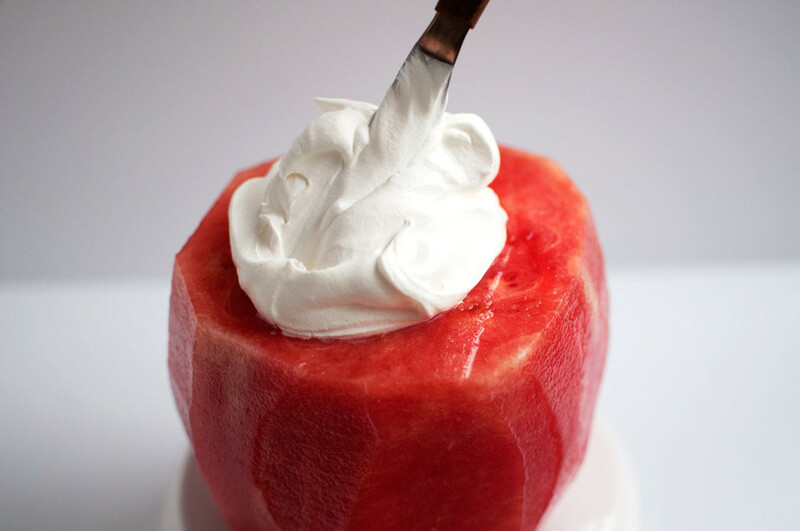 It’s okay if the watermelon is not completely smooth or even as the whipped cream will cover up any imperfections. Place the watermelon “wheel” on top of a cake stand and spread whipped cream evenly over the watermelon. 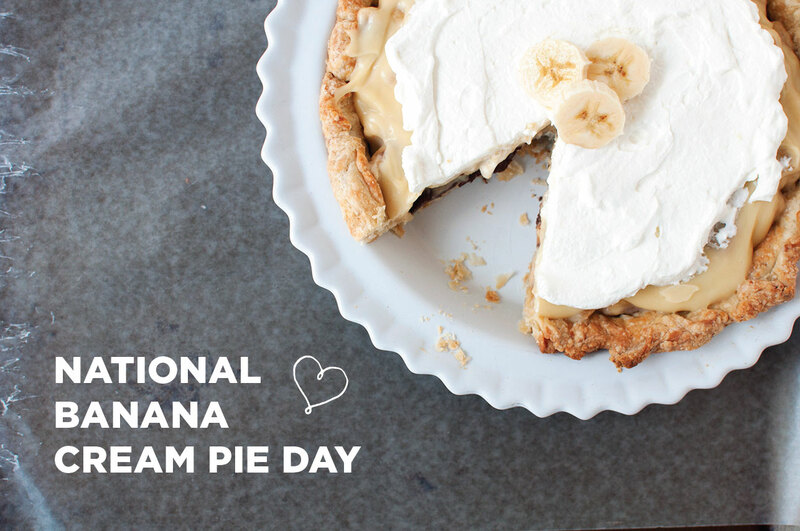 To spread the whipped cream, I started at the top and worked my way down. I then put the watermelon in the refrigerator until I was ready to serve it so that the whipped cream didn’t slide down the sides. 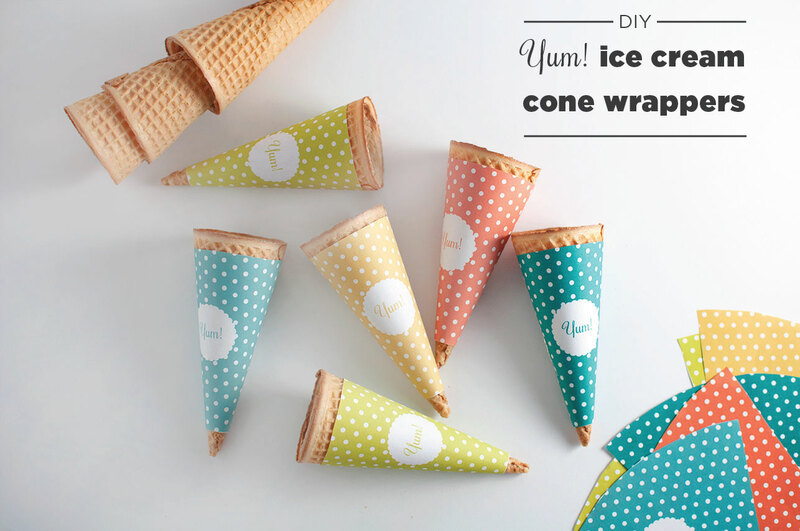 With only a few steps involved, I found this to be an awesome and quick project that’s perfect for summer. It’s so light and refreshing. 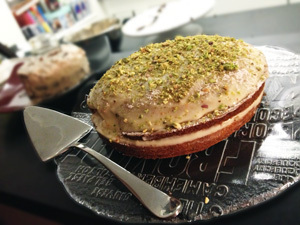 You sure won’t feel guilty after eating this “cake”! This is so cute! 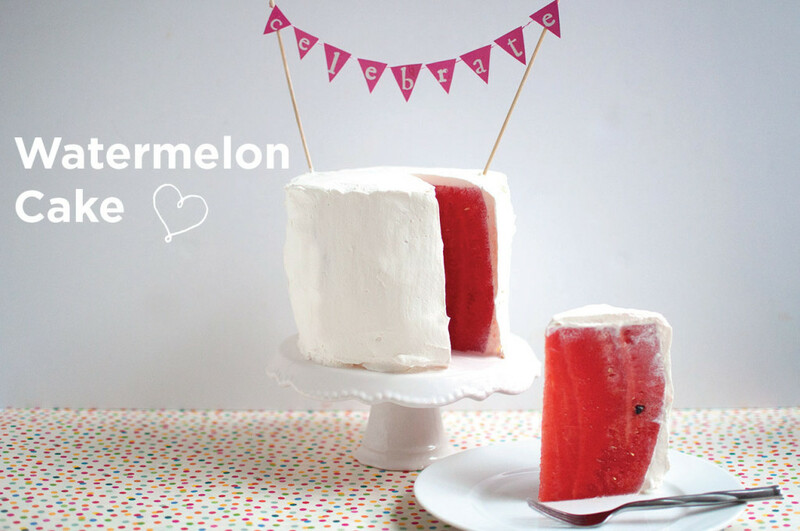 I love watermelon and this is just a really fun spin on it! 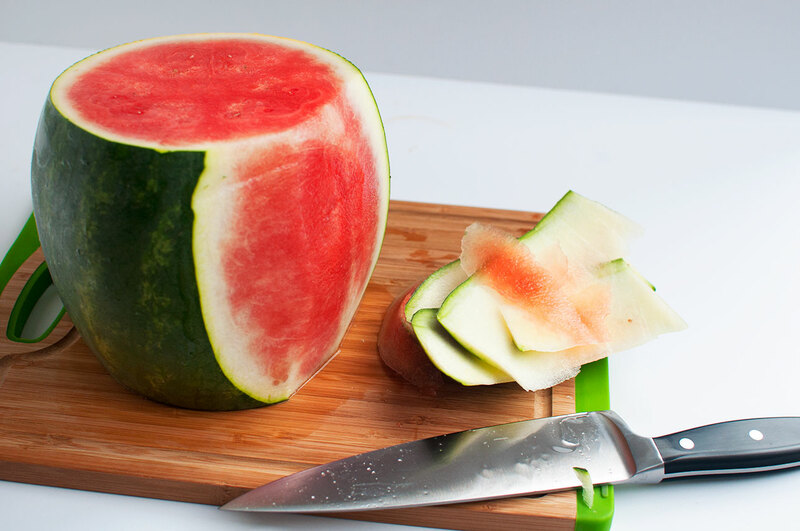 I also had no idea there was a national watermelon day LOL!